It's a Bank Holiday here in the UK, so I hope like me you're enjoying a well deserved day off. No rest for the players though as they will be heading in to London Colney for training. Arsene Wenger is no doubt pushing the message to his players that there is everything still to play for as we approach the final five games of the season. It's been the strangest season I can remember as a Gooner. We're six points behind the leaders Manchester United, but those points could easily be dropped if the unpredictability of the run in continues. Not one single team has managed to put a consistent run together of winning. We're on an unbeaten run of 16 games but eight of those have been draws. And that's what's killed some fans hope that we'd win the title. Frustration is the word I'd use. We know this set of players can produce performances like the ones we've seen against Chelsea and Barcelona but then can get beaten by West Brom and Tottenham at home. No one is sure which Arsenal team is going to turn up, which is why it was good to see the players arrive at White Hart Lane on Wednesday night and put in a display of real 'Arsenal football', especially in the first half. And whilst I know the game ended in a draw, north London derbies aren't like any other game. I can only hope that it will inspire the players to produce their best football for the remaining five games. The players realise they have to give this run in a huge push. "From now, we need to look forward and we must not drop any more points. We have to think about Bolton [on Sunday]. "It is very frustrating, because we gave everything [against Spurs]. We played a good team but we played our own game, something we hadn't done it for a long time. "Against Spurs, we saw the real Arsenal. We gave a lot and we just need to keep looking forward and thinking about the next game." Whilst we were only rewarded with one point from Wednesday night's game, I hope we can use that as a building block. Arsene Wenger will be encouraging his players to give their all. They enjoyed a day off yesterday and now have clear targets in the next five games. Win them at all costs. "We know that every time we draw, we drop two points, especially now when we have to catch up Manchester United. "Thankfully they are dropping points as well, so it is not finished yet. It is going to be very difficult, but we are going to fight until the end." This kind of talk has been very cheap in recent weeks but perhaps the game on Wednesday night was just what we needed to give us the kick the team needed to force them away from the mediocrity of drawing so many games. The Daily Star's Danny Fulbrook wants Arsene Wenger to admit with five games to go that his team isn't good enough and don't have the mental strength required to win the title. 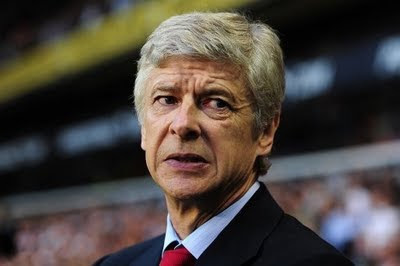 Whilst I agree with Fulbrook, and have been saying it for a long time, that we do lack character/mental strength - Arsene Wenger is never going to come out and admit to his team's failings. That is never going to happen nor should it. It would be title suicide to come out and say the players don't have what it takes when there is still a chance, however slim, that we can win the league. Why would Wenger want to damage the self belief of his players? Martin Keown rightly points out in the Daily Mail that some of these players aren't good enough. Arsene Wenger knows this and he'll be making changes in the summer. And as the Daily Telegraph points out, the manager has £40m to make the changes he wants to. Elsewhere there is more talk of the Cesc Fabregas interview with Spanish magazine Don Balon. Personally I have no gripes with it. He said some straight forward things which no right thinking person could argue with. The club have taken issue with the interview. Arsene Wenger has said some of Fabregas' words have been spun. The press office say they didn't sign the final version of interview off. And now the magazine have published the audio of the interview so everyone can hear what the captain really said. It's all very unArsenal in the way it's been handled in my eyes. Cesc is a grown man and I'm sure that everything he said in the interview he would say to Arsene Wenger's face. He's not the type of guy not to speak up and let his feelings be known. Finally, The Sun come up with this transfer gem. Arsenal are fighting with Spurs for the signing of 30-year-old Inter Milan striker Diego Milito.